A United States Congress Research report has revealed that India has emerged as the second largest purchaser of arms among developing nations after Saudi Arabia and Pakistan. The latest report says that that arms supply to India was sanctioned in view of regional situation which is "a matter of ongoing concern to the United States because of long-standing tensions between Pakistan and India". Arms deliveries to developing nations, 2008-2015: The leading recipients (in millions of current US dollars) rank recipient deliveries value 2008-2011- (1) Saudi Arabia 13,000,(2) India 11,100 (3) Pakistan 7,200 (4) Algeria 5,500 (5) Egypt 5,000 (6) South Korea 4,500 (7) China 4,100 (8) Venezuela 4,100 (9) Israel 4,000 (10) U.A.E. 3,700. Between 2008 and 2015, India purchased defence equipment worth $34 billion, which is a distant second after Saudi Arabia's $93.5 billion, said the report 'Conventional Arms Transfers to Developing Nations 2008-2015' released by Congressional Research Service (CRS). As the name reflects, CRS is an independent bipartisan research wing of the US Congress. It prepares reports on a wide range of issues for lawmakers to make informed decisions. CRS reports are not considered official reports of the US Congress, reports the London-based newspaper, The Nation. "Saudi Arabia was the leading developing world arms purchaser from 2008-2015, with agreements totalling USD 93.5 billion. 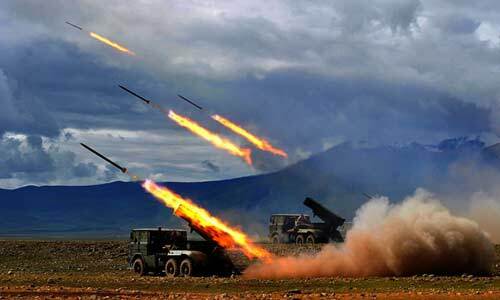 India was the second largest developing world arms purchaser from 2008 to 2015, making arms transfer agreements totalling $34 billion during these years (in current dollars)," it said, adding these increases reflect the military modernisation efforts by India. In its report, CRS highlights recent Indian efforts to diversify its procurement of arms, of which the US has been a major beneficiary. "It is notable that India, while the principal Russian arms customer, during recent years has sought to diversify its weapons supplier base, purchasing the Phalcon early warning defence system aircraft in 2004 from Israel and numerous items from France in 2005, in particular six Scorpene diesel attack submarines. In 2008, India purchased six C130J cargo aircraft from the United States," CRS said. In 2010, the UK sold India 57 Hawk jet trainers for $1 billion. In 2010, Italy also sold India 12 AW101 helicopters. In 2011, France secured a $2.4 billion contract with India to upgrade 51 of its Mirage-2000 combat fighters, and the US agreed to sell India 10 C-17 Globemaster III aircraft for $4.1 billion, it said. "This pattern of Indian arms purchases indicates that Russia will likely face strong new competition from other major weapons suppliers for the India arms market, and it can no longer be assured that India will consistently purchase its major combat systems," CRS said. Indeed, India in 2011 had eliminated Russia from the international competition to supply a new-generation combat fighter aircraft, a competition won by France. In 2015, Russia and India agreed to a contract in which India would procure at least 200 Ka-226T helicopter, the report said. With India reducing its reliance on Russia on arms purchase, Moscow is looking for other options, it added. It is pertinent to mention here that Pakistan's National Assembly Defence Committee has already been informed this year that Saudi Arabia is the largest importer of Pakistani arms, and has purchased small and medium conventional weaponry worth millions of USD. The committee was being briefed at Parliament House by Lt. Gen. Omar Mahmood Hayat, chairman Pakistan Ordinance Factories (POF). "During the current fiscal year, POF has secured export order worth USD 81 million, and Saudi Arabia remains the biggest importer of arms and ammunition from Pakistan," said Hayat. Chairman POF also added that during the last decade, POF has introduced 72 new weaponry products without getting any financing from the government. Hayat disclosed during the briefing that POF is working on a new assault rifle, to replace the reliable and long-serving G-3. "Production of LSR sniper rifle has also been started at POF, with a unit cost USD 6500 compared to the import price of USD 12,500 per rifle.